Musiktage am Rhein - Xiaoti Guo - rhein-fine-musik-festivals Webseite! With her talent and the passion for music, Xiaoti Guo has been learning the violin and viola for 18 years. She was awarded a full scholarship by the Yong Siew Toh Conservatory of Music, National University of Singapore where she has studied the viola under Zhang Manchin, Head of Viola Studies for her Bachelors of Music degree and she also has received the full tuition scholarship from Indiana University where she studied with Stephen Wyrczynski for her Performer Diploma degree and she studied with Nobuko Imai at the Reina Sofia School of Music in 2015 – 2017. She is currently studying with Ingrid Zur at Hochschule fur Musik und Darstellende Kunst Frankfurt am Main. She started learning the violin with her grandfather at the age of five. Subsequently, she took up voice and piano lessons at eight. 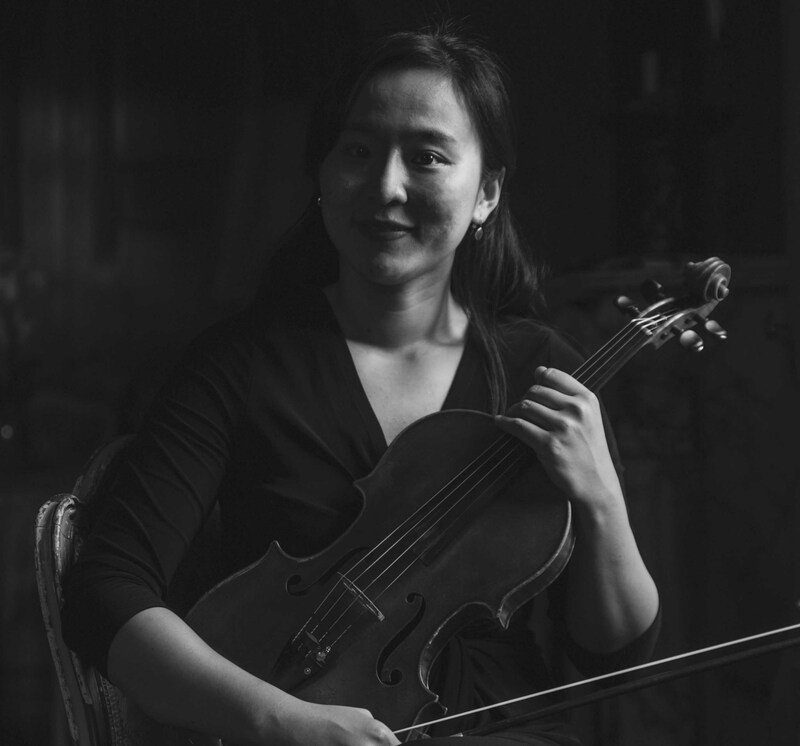 In 2004, she studied violin at the Shenzhen Arts School under Feng Pei and in 2006, she was appointed concertmaster of the school orchestra and took up many performance opportunities including a joint collaboration with the Hong Kong Youth Orchestra. She has also taken violin lessons under Zhang Ti, Professor of Central Conservatory of Music, Beijing from 2006 to 2010. She changed her major from violin to viola since the first year of her university studies.With the pursuit of music and interests in viola, Xiaoti has actively participated in masterclasses with Nobuko Imai, James Dunham, Stephen Wyrczynski, Yoshiko Kawamoto, Toby Appel, C.J.Chang, David Takeno, Li Honggang of ‘Shanghai Quartet', Sheng Li, Wang Shaowu, Kin Fung Leung and Jay Liu. In 2012, Xiaoti has participated in the Texas Music Festival in the USA and the Great Mountains Music Festival in the South Korea with full scholarship. In 2013, she has participated in the Aspen Music Festival and School. She held the Assistant PrincipalViola position of Aspen Festival Orchestra for the whole session. She was also selected as a member of 12 students from all over the world to participate in the Otaru Viola Masterclass 2014 held by Nobuko Imai. She was also selected to participate in the Ozawa International Chamber Festival in 2014 and received the wonderful opportunity to play in the Chamber Orchestra with Seiji Ozawa.Xiaoti is also an active orchestra and chamber musician. She has performed with several professional orchestras such as Aspen Festival Orchestra, Singapore Symphony Orchestra and Yong Siew Toh Conservatory Orchestra. She has also performed many chamber works in chamber concerts. Xiaoti has actively participated in orchestra and chamber masterclasses such as the conducting masterclasses with John Nelson, Claus Peter Flor and chamber masterclasses with Takacs Quartet, Australian String Quartet, Quatuor Manfred and Shanghai String Quartet. In 2011, she performed as a viola soloist with the Chamber Singers. She also performed with the Singapore National Youth Orchestra in “Musical Synergy” 2012.